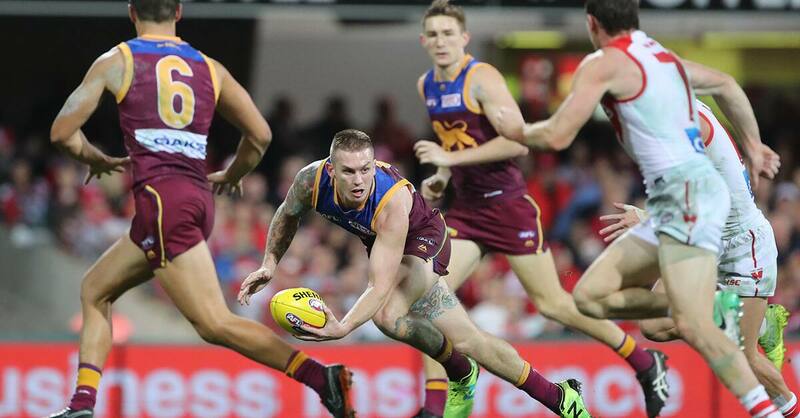 The Brisbane Lions chased all night but couldn't overcome the Sydney Swans at a drenched Gabba on Saturday afternoon. The Swans led at every change but were forced to work hard for their 10.7 (67) to 6.13 (49) victory. The Lions tried hard and can hold their heads high, but Sydney was rarely troubled, leading by four points at quarter-time and gradually moving away across the game. Even with superstar forward Lance Franklin (one goal) well held by Darcy Gardiner, the Swans were too much, with classy Isaac Heeney and youngsters Ben Ronke and Will Hayward kicking two goals apiece. The Lions kept coming, and Allen Christensen's goal early in the final term had them within 15 points. When Brisbane tried to exit its defensive 50, a hurried kick was often met by a wall of Swans, which saw the ball coming back with interest. Six days ago Brisbane defeated Hawthorn, and although being unable to back up with another win, did enough to again encourage its supporters. They matched the Swans in tight and won most statistical categories, including inside 50s (56-51), clearances (52-40) and tackles (81-58) but were rushed with their disposal. Lions coach Chris Fagan was left to rue his team's poor kicking for goal. 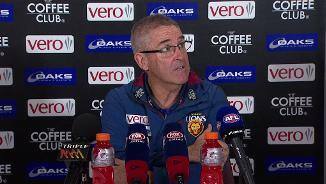 "From set shots, I think they kicked 6.3 and we kicked 4.6, in a game that was as tight as that, sometimes it comes down to those things," Fagan said. "The other thing I thought they did was they won the ball when it hit the ground in our front half a bit too much, and repelled from those situations. "We didn’t make the most of our opportunities. We proved though that we could play against a big-bodied side in conditions that probably suited them more than us. "We really toughed it out and I loved that about our performance tonight." In the same week he stepped down as captain, Dayne Beams was a monster. He was tireless, finishing with 38 disposals and drifting forward to slot a nice set shot from a neat Dan McStay pass. Mitch Robinson was ferocious, body-lining Dan Hannebery with a huge bump in the first quarter – that the Swan somehow got up from – and had a match-high 26 contested possessions among his total of 35. The Lions played the second half without rugged defender Matt Eagles, who went off before the main break with an adductor injury. 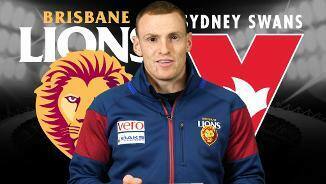 Brisbane Lions: Defender Matt Eagles limped off in the second quarter with an abdominal problem. Coach Chris Fagan said he expected the 28-year-old to miss a couple of weeks. Sydney Swans: A clean bill of health for the Swans. Sydney has a short turnaround but would be short-priced favourites to make it four-in-a-row next Friday night when they host Carlton at the SCG. 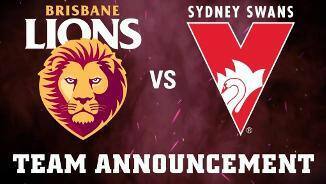 Brisbane has an eight-day break and will play North Melbourne at Etihad Stadium on Sunday afternoon. Here's a look at how last Saturday night went down on the socials! 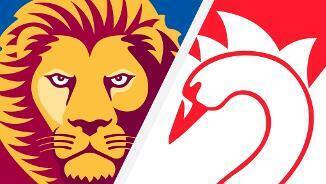 The Lions chased all night but couldn't overcome the Swans at a drenched Gabba on Saturday afternoon.